COLOSTRONG Pro Capsule (For Adult) is sourced and processed at INED TBI National Dairy Research Institute, Karnal ISO 9001-2000 and HACCP. 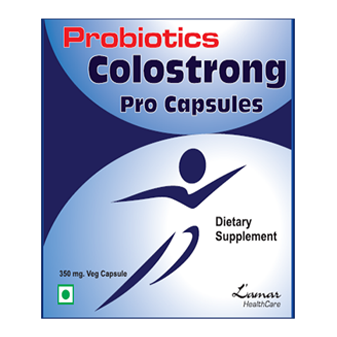 COLOSTRONG pro capsule is prepared from colostrum, which fights diseases. It improves physical performance and supports the immune system. It helps in growth and development. COLOSTRONG pro capsule protects delicate bioactive components. Take one capsule 3 to 4 times before food or take as suggested by your physician.